“Obamacare’s gotta go” has long been one of Donald Trump’s favorite rallying cries. But it looks like he’s swerving toward the guard rails in this political game of chicken. After promising just last week at a Michigan rally that the GOP was working on “something that’s really spectacular” as a replacement for the Affordable Care Act, aka Obamacare, Trump’s now seemingly pressing pause. In a series of tweets late Monday, Trump suggested change could wait. At least until next year. After the 2020 presidential and midterm elections. Puh-leeze. The real deal? The GOP ain’t GOT no job health care plan. It’s the ultimate in haterade: They don’t have a plan; hate that (forever) President Barack Obama came up with a plan; so they must kill that plan; and then replace it with … nothing, or at least nothing the American people are going to go for, if recent polls count for anything. A Quinnipiac University poll last week found 55 percent of Americans supporting the improvement and not the replacement of the nation’s health care system. A health care system that currently does things like protect people with pre-existing conditions such as diabetes or cancer, and allow young adults to remain on their parents’ plans until they turn 26. 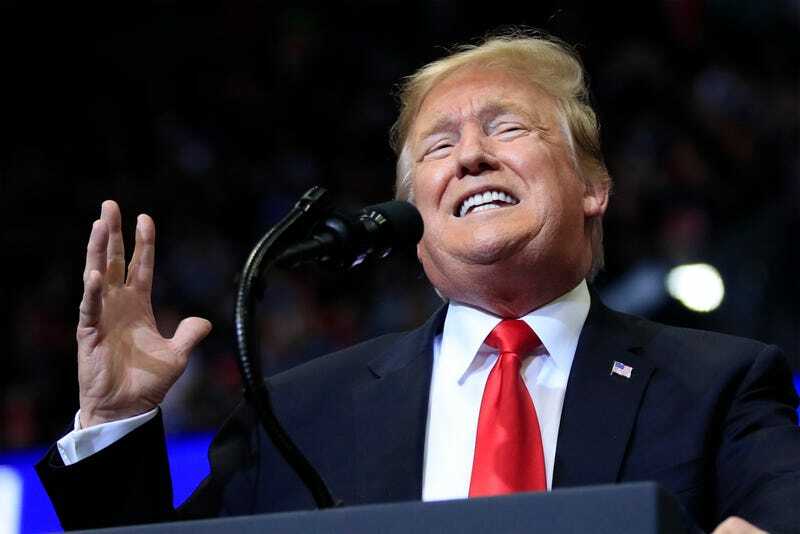 Apparently, Trump’s loss change of heart came after a meeting with Senate Majority Leader Mitch McConnell, during which the Kentucky Republican apparently hipped Trump to the game. Nope. No misunderstanding at all. Guess it’s time for a timeout, Trump.